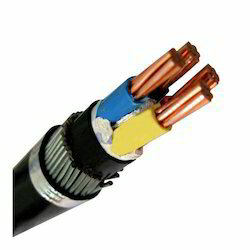 Widely demanded in industrial area, these Copper Conductor Unarmoured Cable are best in working. Available in the market in different sizes, these cables are quality approved by experts by following preset steps. Besides this, these cables are optimal in performance and available in the market at nominal cost. - Maximum DC Resistance at 20° C - 13.300 Ω/Km. Keeping our harmonization with the developments taking place in the market, we are occupied in delivering a broad variety of Aluminium Unarmoured Cable in the market. Excellent in quality, these Copper Unarmoured Cable are offered in the market in many sizes to meet commercial needs and necessities of the patrons. These cables are quality tested by sharp minded professionals of our firm. 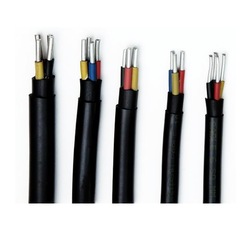 Moreover to this, these cables are made very precisely with the use of best material for proper conduction.